This gentle cleanser stops dandruff while controlling scalp dermatitis and mild psoriasis. 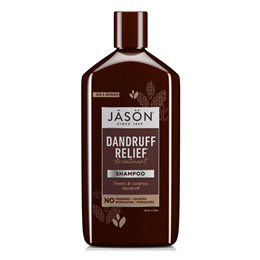 Feautring Jason`s unique combination of ingredients plus nourishing essential oils of rosemary, olive and jojoba, this medicated cleanser soothes, heals and moisturises while it eliminates flakes and itchiness. MSM (methylsulfonylmethane) rebalances and conditions the scalp to prevent future dandruff. Aqua (Water), Sodium Cocoyl Isethionate, Disodium Cocoamphodiacetate, Stearic Acid, Potassium Cocoyl Glutamate, Glycerin, Sodium Lauroyl Sarcosinate, Cetyl Alcohol, Cocamidopropyl Betaine, Hydrolyzed Wheat Protein, Olea Europaea (Olive) Fruit Oil(1), Pogostemon Cablin (Patchouli) Oil, Rosmarinus Officinalis (Rosemary) Leaf Oil, Simmondsia Chinensis (Jojoba) Seed Oil(1), Camphor, Dimethyl Sulfone(2), Menthol, Methyl Salicylate, Potassium Hydroxide, Sodium PCA, Xanthan Gum, Benzyl Alcohol, Capryloyl Glycine, Undecylenoyl Glycine, Amyl Cinnamal, Benzyl Benzoate, Hexyl Cinnamal, Hydroxycitronellal, Linalool, Limonene, Fragrance (Parfum) (1)Certified Organic Ingredient; (2)MSM. Avoid direct contact with eyes. Rinse thoroughly with water in case contact occurs. If swallowed, seek medical help immediately. 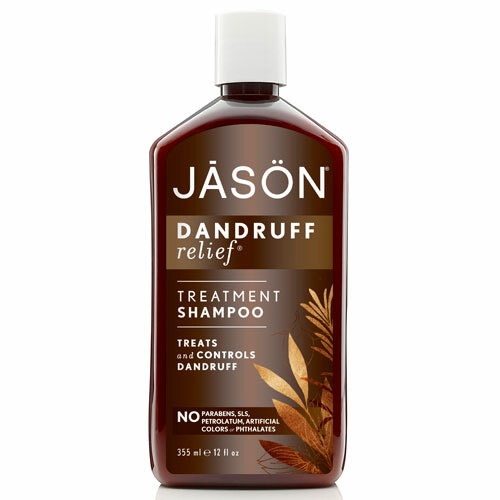 Below are reviews of Jason Dandruff Relief Treatment Shampoo - 355ml by bodykind customers. If you have tried this product we'd love to hear what you think so please leave a review. Works for a week so if I follow instructions and wash three times a week, I'm pretty sure my scalp would've been better? Although I think a trichologist is what's needed now.